In 1865 Taranaki Iwi responded to the plight of war and Crown acts of violence with an alternative non-violent action with Te Whiti o Rongomai, Tohu Kakahi and other prominent Taranaki leaders appointed to lead the community. Under its own autonomy and independence, Parihaka flourished in an environment where development was inspired by the principles of discipline, faith, organisation and unwavering dedication. A strong agricultural base was also established with advanced agricultural machinery in everyday use. The population grew steadily as those who had been displaced and dispossessed by the war and confiscation sought refuge. 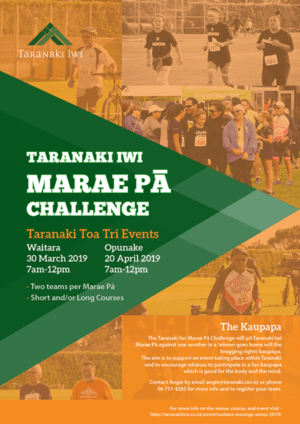 Under the inspiration of Te Whiti and Tohu and other Taranaki iwi leaders Parihaka grew to pre-eminence, leadership of the central district (Hangatahua River to the Waingongoro River) was vested in the village with Tohu and Te Whiti at its heart. They established monthly meetings on the 18th day to which Māori and Pākehā leaders were invited to attend to discuss the injustices and strategise for the resistance to land alenation and assimilation. The 18th became a consistent institution for the Parihaka movement. It recalled the date of the start of the first war in Waitara which began on March 18, 1860. By 1878, the Crown facing pressure for more land began surveying. 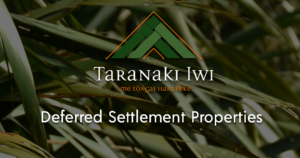 However, promises of restitution for Waitara and large reserves for Taranaki Iwi from the Compensation process had not been implemented. 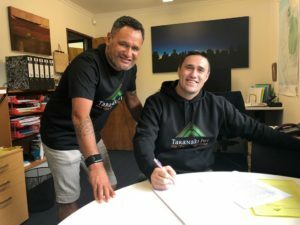 Following the refusal of the Government to meet with Te Whiti to discuss the question of reserves, the two leaders launched an “army” of ploughmen to plough settlers’ land throughout Taranaki. Taranaki Iwi records that these lands included Tapuae and Oakura in the Taranaki Iwi rohe. In 1880 the Government then began building a road to Parihaka, a telegraph line and Lighthouse to aid in the further invasion into Taranaki Iwi lands. When the road reached the Parihaka block in June 1880, the armed constabulary pulled down fences during construction, exposing Mäori crops to their horses and wandering stock. As the fences were broken, Te Whiti and Tohu sent fencers to repair them. These passive resistance campaigns led to close to 400 “ploughmen” and “fencers” from throughout Taranaki being arrested and imprisoned. No court proceedings were conducted by any Supreme Court trial and special legislation was passed, first to defer them and then to dispense with the trials altogether. Subsequently, all prisoners were shipped to jail in Dunedin, Hokitika, Littleton and Ripapa Island for 2 years on charges of forcible entry, malicious injury to property, riot. Conditions were harsh and included hard labour. The detrimental impact of these conditions was compounded by the effect of ill health and exile.